Finished Dec 2017. Final score: 1 / 5. I liked X-Files, and this looked like a good performance with the original cast. I watched the original X-Files series. X-Files did not translate well in to a radio show. This was not an audiobook. This was a radio show. Everything progressed through dialog, music, and audio effects. It was well-produced, but I did not enjoy it. I found the series impossible to follow. Characters arrived and disappeared without introduction. 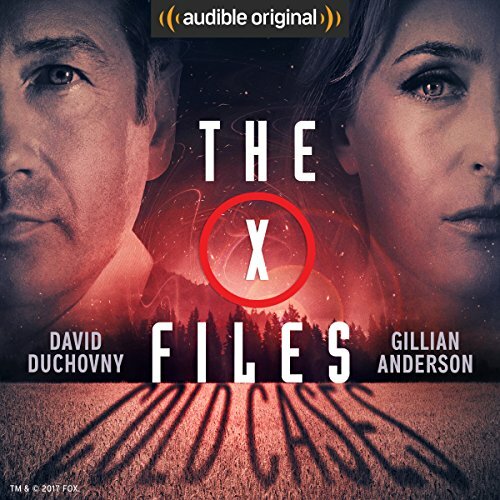 I suppose Audible assumes we are already die-hard fans of X-Files and simply know everybody and their backstory by voice recognition alone. Perhaps I have a bit of Auditory Agnosia, but I would have really appreciated a few "Said Scully", "Said Mulder", "Said Smokingman" to help me. The show was very episodic. Each chapter fit in to a neat TV-sized package. I am not impressed. A nice thing about books is not being bound to timing for commercial breaks. Perhaps these episodes were rejects to be back-fitted to this radio show? I was surprised how much I did not enjoy being purely an outside observer. I like being deep in the mind of the main character. I like seeing the thought process. Knowing the internal struggle to make a decision. Sometimes, a book would just "pause" for 15 minutes while the hero contemplated an important in-the-moment decision. That can't happen in this radio show. Everything is real time. Needless to say, I did not buy season 2 of this production. Discuss The X-Files : Cold Cases in the forums.